Testosterone BoostersScitec ZMB6 - 60 kaps. Synergistic blend of zinc, magnesium and vitamin B6 in the composed formula provides a peaceful and deep sleep, and thus improve recovery and increase natural testosterone levels! Top quality at a good price! Scitec Nutrition ZMB6 is an advanced combination of minerals and vitamins B6, which uses a synergistic blend of zinc, magnesium and vitamin B6 in the composed formula provides a peaceful and deep sleep, and thus improve recovery and increase natural testosterone levels, which will translate in improved libido. 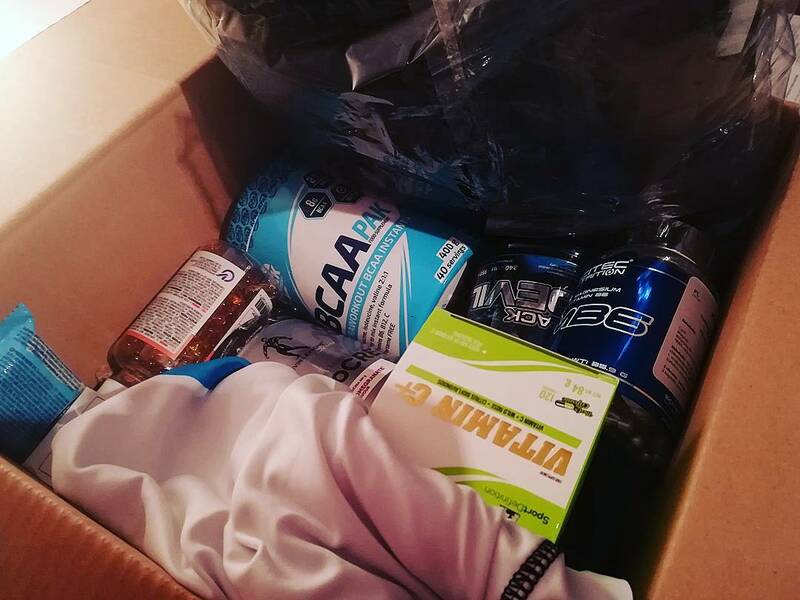 With the operation of this product will be able to achieve faster and bigger gains in lean muscle mass! Do not worry, this is completely legal preparation. ADVANCED CONNECTION magnesium, zinc and vitamin B6. EASY DOSAGE AND HIGH PRODUCTIVITY - UP TO 60 DAYS FULL SUPPLEMENTATION! 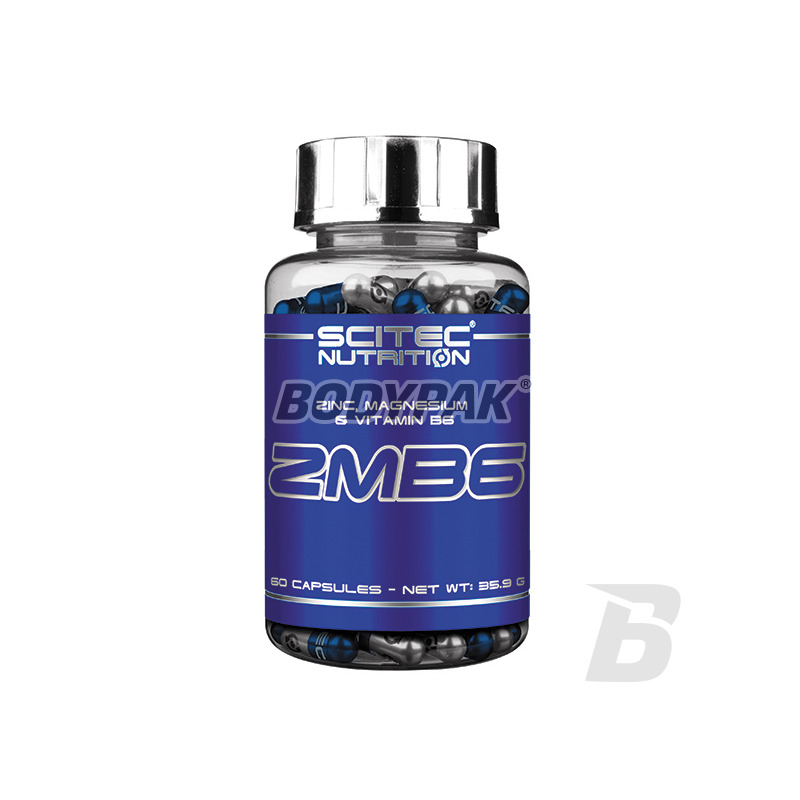 Scitec Nutrition ZMB6 is the source of the most important minerals for the proper functioning of the athlete's body and rapid recovery post-workout. It's hard for a second so nuanced supplement! 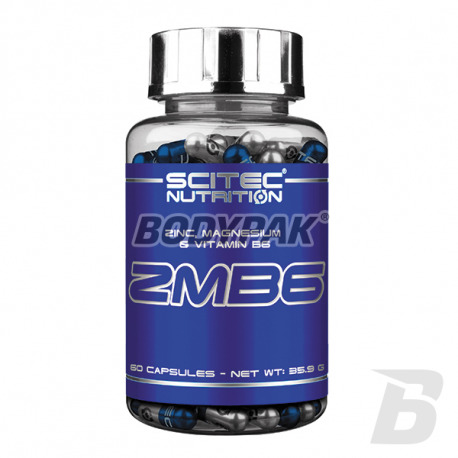 Scitec Nutrition ZMB6 - SECRET HIDDEN IN DETAIL! Zinc - essential for the synthesis of proteins and nucleic acids, directs the shrinkage of muscles, contributes to the creation of insulin, wound healing, improves mental performance, participates in the production of prostaglandins regulate blood pressure and heart rate, normalizes the levels of leptin, is a cofactor of many m.in . : enzyme lactate dehydrogenase - glycolysis indirectly allows waveform in the absence of oxygen, alkaline phosphatase - participates in bone mineralization, carbonic anhydrase - enzyme required for synthesis of carbonic acid as the source of hydrogen ions needed in the digestive process of proteins hydroxysteroid dehydrogenase - necessary in the so-called testosterone. testosterone biosynthesis pathway, builds "zinc fingers" - structure mediating binding of regulatory proteins to DNA (these receptors include steroid and thyroid). Use 1 capsule daily. The product can not be used as a substitute (replacement) of a varied diet. Składniki: tlenek magnezu, otoczka kapsułki (żelatyna wołowa; woda oczyszczona; barwniki: Dwutlenek tytanu, Czarny tlenek żelaza), siarczan cynku monohydrat, Pirydoksyna HCl, substancja wypełniająca (Celuloza mikrokrystaliczna). Świetny produkt w bardzo dobrej cenie! Libido większe, regeneracja podczas snu zdecydowanie na plus. Cena- jakość, dla mnie pierwsza liga. Kupiłem już drugi raz, nie potrzebuję droższego. To samo Activlaba jak dla mnie zupełnie nie działało.